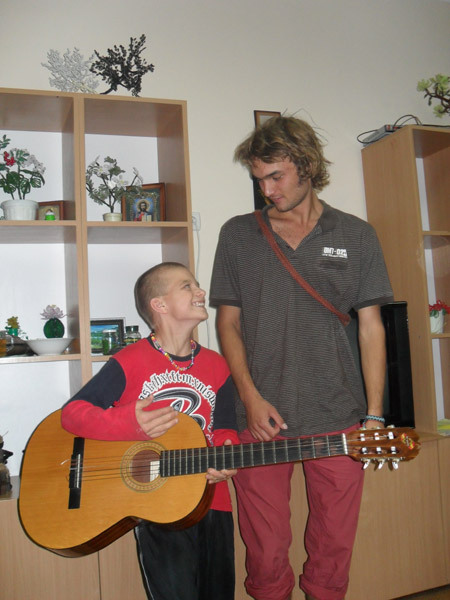 In September Kalinovka twice already visited volunteers musicians. The kids gave a master class on playing the guitar, keyboard and recorder. And suddenly lesson playing musical instruments twice turned into a real disco!Thank you Aline and Oleg, and the children, and we hope to see them there again and again! Last month, in our second “Happy House” continued construction work – were made ​​openings, and yesterday signed an agreement for the manufacture and installation of windows and exterior doors in the room. After the installation of windows and doors will be working on the facade and sanitation. According to preliminary estimates of the contractor to complete the work on this project, “turnkey” we will need 342,000 hryvnia. We still need your help! In Kalynivka continues to operate a massage therapist whose services are paid for the fund as well. Caregivers bedridden children noticed that after the massage children become more active, more mobile and are better to eat.In particular, Igor Z. After the massage was better to eat less and choke. Also, the children improved sleep. And to further help children improve their physical condition, we need your help – for each month for the work we need a masseur 4000 hryvnia. In September, as many months before, continued to work with children on beading. 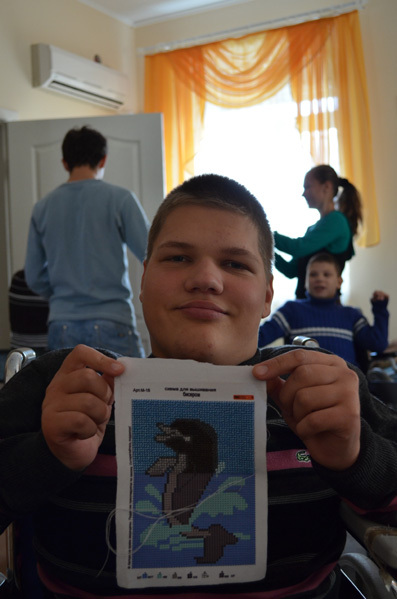 One of the inmates, Sergei P. already learned to embroider pictures and soon decoration of the first “Happy House” will be the small beaded dolphins. In addition delfinchika of students you can see here . And, of course, buy them a gift family, friends or yourself personally. Thank you for that support their work! 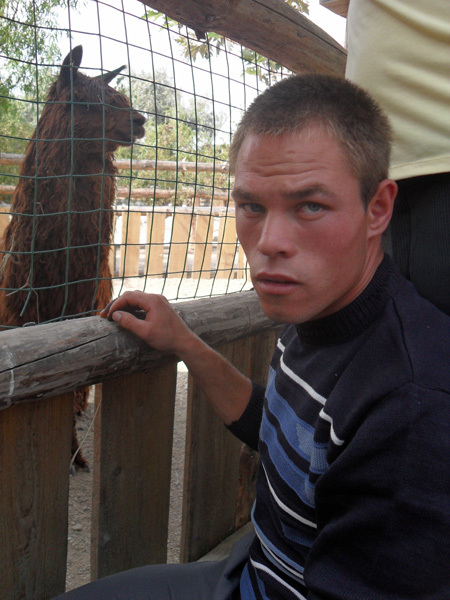 Last month, on the Foundation’s website appeared orphans of 9 profiles Kalinovki. As of today, there are all orphans have profiles on our site, and we believe and hope that some of them already this year, the family will be required. And we can only hope that the families of Ukraine also resolved to educate children with special needs. For they not only physical characteristics that distinguish them from healthy peers, but a special energy that gives us a chance to stay with you people in any situation. And those who doubt whether these children a chance to find a family, be sure to read the story of how life develops former ward Kalinovki Leschi for the year of his life in America. 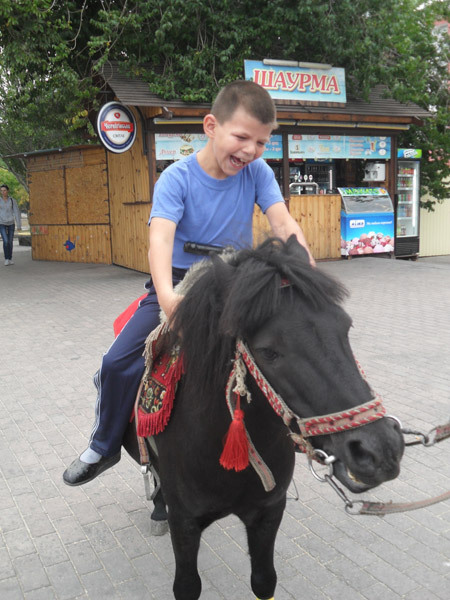 But for those who are still in the Kalynivka , we continue to do what we can to make their lives brighter.Another such moment was the trip to Berdyansk – the children have visited the zoo and on the waterfront of the city, where they were able to ride a pony and look at the ships. Along with 13 children from Kalinovki in Berdyansk visited and 6 adult wards boarding. For further successful work of our teachers in the last month have been received tutorials from the National Assembly of Disabled of Ukraine , the training which in August visited our employees. 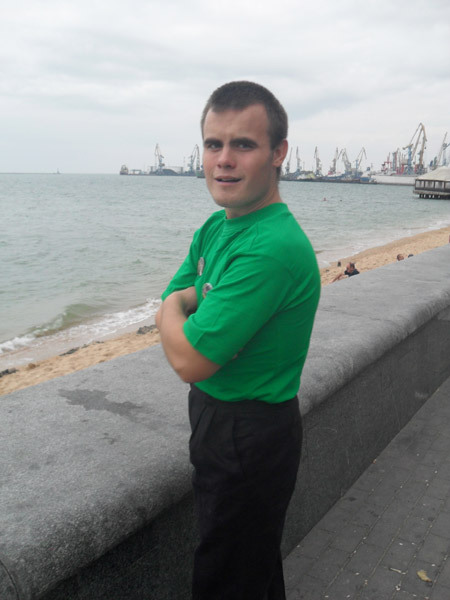 And perhaps one of the most important achievements in September (and our boarding) we can assume that, at last, was hospitalized Artem N. Kalinovki of which 2 years ago was appointed orthopedic hospitalization for ahilloplastiki. After 2 years of a child, at last, in the hospital, but the surgery, according to doctors, it is no longer needed. Now he is doing Botox injections, which in theory is an alternative to surgery, and perhaps one day Artem still be able to walk without assistance. Thank you to those who supported him and support! In the group of Raisa G. Yegor G. learned to say “do not want” and “give.” In walker yourself trying to move Vlad C. Also by Sasha B. teacher tries to walk – so far only on the fingers. Under this tutor children love when they ride on fitballs. In the group of children studied S. Sofia score to 10. Under the caregiver Natalia P. Eugene K. and Larisa K. applications made out of colored paper. 8. Puzzles large or medium size. Thanks for the help provided earlier and ongoing encouragement, remember that help these children and adults only we can contact you! Each hryvnia and every minute of your attention to special-needs children and adults at a premium. Do good!